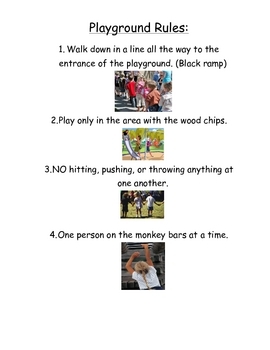 These are the rules that I came up with for our playground. Enjoy!! !